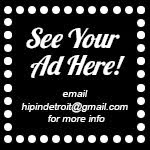 Hip In Detroit: Calling All Crafters! 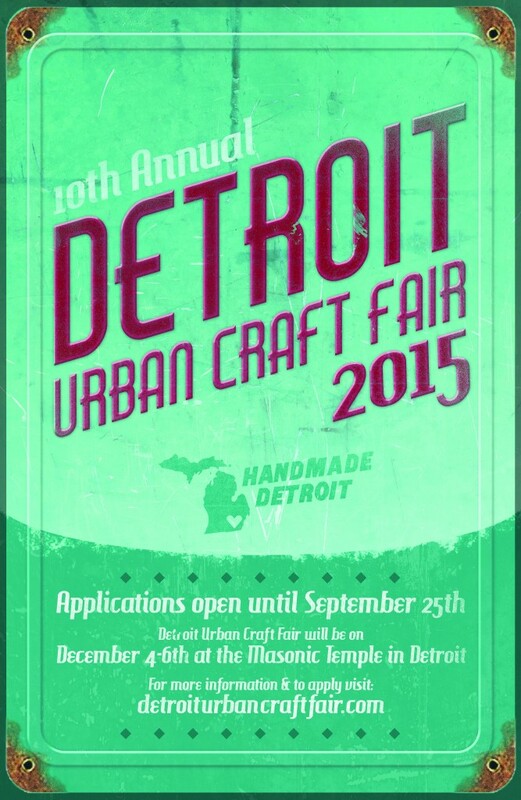 Handmade Detroit is looking for vendors for this year's Detroit Urban Craft Fair. The fair will be returning to Detroit's Masonic Temple for its 10th year this December. The event is known for hosting some of Detroit's coolest up and coming hand made goods. 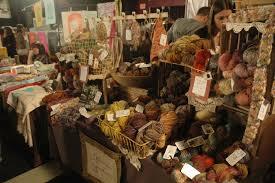 I personally do a lot of my Christmas shopping at the show. This two day show is one of the best opportunities a local D.I.Y. crafter has to get their goods out to the masses. If you decide to apply for a booth, your biggest problem will be making enough merchandise to prevent yourself from running out before the weekend is over. 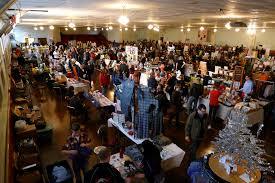 This is not your mama's craft fair! The DUCF features food, music, and some of the most unique holidays gifts you can find in Metro Detroit. 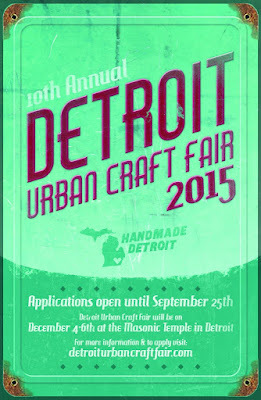 September 25th is your last day to apply to be a vendor. They are very picky about who gets into the show. Make sure that you give a good description of your company and provide lots of great photos of your products. 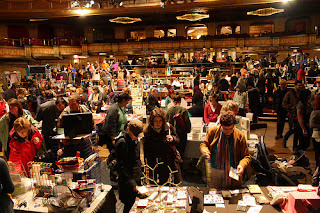 The more unique your products are, the more likely you will be to get into the show. 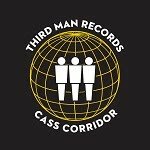 If you would like to apply click here. I am looking forward to seeing what kinds of new vendors are at the show this year. If you're not a crafter and you're more of a shopper like me, mark your calendars now. This year's fair will run from 6 p.m. to 9 p.m. on Friday, December 4, 10 a.m. to 8 p.m. Saturday, December 5, and 11 a.m. to 6 p.m. Sunday, December 6.